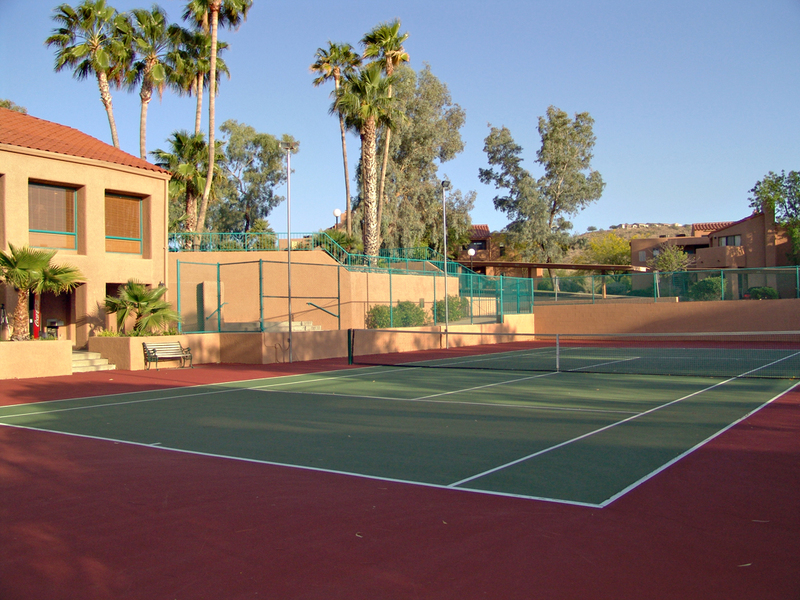 Tucson Tennis Vacations is a joint venture between The Servoss Group with Keller Williams Southern Arizona and certified local tennis professionals Terry Gibson and Britt Feldhausen. The Servoss Group manages fully furnished corporate / vacation rentals in some of Tucson’s finest communities. All of our furnished rentals come with fully equipped kitchens, cable television, wireless internet, linens and resort style amenities. By booking a furnished rental with The Servoss Group Britt Feldhausen and Terry Gibson have agreed to provide discounted rates on their private tennis lessons and group programs. Contact Nicolette Servoss at 520-395-7202 or email her at nservoss@kw.com to book your accommodations. Once your reservations have been made with The Servoss Group we can either have Britt or Terry contact you directly or you can call them to discuss setting up your custom Tucson Tennis Vacations. Terry Gibson is currently the director of tennis at Loews Ventana Canyon Resort and a member of the Adidas Tennis Team Staff. 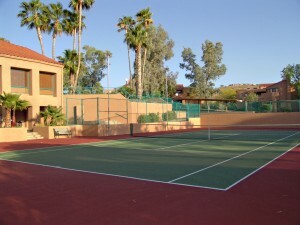 Prior to moving to Tucson, Arizona Terry was the head tennis coach for the Men’s and Women’s division 1A tennis team at Youngstown State University in Youngstown, Ohio. Britt Feldhausen first picked up a tennis racket in 1955 at the age of four to hit on a wall in Springfield Illinois. The instruction of his father was to practice and watch those guys over there because they’re pretty good. He has been playing. watching and learning ever since. Coached by the legendary Buchholz family from St. Louis he first worked at fourteen as a sparring partner and learned to coach becoming a member of the United States Professional Tennis association in 1975. Britt has been head professional, director of tennis and coach at numerous clubs and resorts and now runs his own tennis academy. Britt teaches all levels and ages of players but specializes in a new instruction format known as 10 and under tennis.